← Back pain during running. Have you looked at your big toe? What a great question. Firstly I am not really sure that there is a definitive answer so let me say sorry in advance. The word functional seems to mean a lot of different things to a lot of different people so lets look at the Cor-Kinetic interpretation. Simply put what may be functional for one person may not be functional for another. So a functional approach should be based around the individual standing in front of you that you are going to treat or train. They define what is functional for them not you. This is the major problem with the use of the term functional for me, other people define human function. This could be the view of one of the many Guru’s out there or the view of the practitioner or trainer. 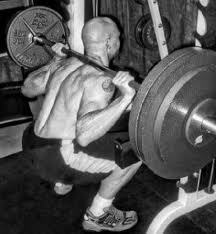 Can we define movement patterns into squat, push, pull, rotate etc and say that this encompasses human movement especially when performed in the context of rigid and contrived gym based exercises? Simple definitions certainly make things simpler but does simpler mean more effective? How many ways are there to do a squat? The answer to that question is easy, lots! We can squat, side bend and rotate to pick something up or we may squat down on our toes to pick something up from the bottom of the fridge with our knees coming way forward. How about rotation patterns? We can rotate and reach high creating one set of spinal coupling motions or reach low and create the opposite. We may combine that with a squat or a lunge. Simply by defining and training the constituent parts of movements we perform does not come close to the specificity of function that is demanded by our clients. That’s why you need to understand them and their function to truly say what you are doing is functional. Another of the big buzz words is functional assessment or screening. When we look at the science behind movement patterns, the CNS and motor control we start to understand how specific we need to be in terms of our assessment and training. If we are carrying out assessments that don’t bear any relation to our function then are we just testing a test? If to pass a test you have to say the sky is green what bearing does that then have on the reality of the sky being blue. It’s a bit like testing the ability to get my hands over head while squatting. Its something I never do, you are testing something I never do so why would I be any good at it? Of course it’s not going to be good, a bit like testing my ability to speak french before I have learned any. Just like anything else movement takes practice. If you are assessing anatomy then that’s a different ball game. Anatomy and how it functions are not one and the same beast! If you are testing something that relates to my function however then this is a reflection of how I function. So you are assessing something I have practiced and something that is possibly problematic. It has a relation to the client not the trainer. Now that’s functional! In fact we should be testing a subconscious movement rather than a skill we may not have learned yet really. This shows the performance of ingrained motor patterns and reflexive muscular activation that are beyond the conscious mind. We can only test the subconscious through stuff we do and have done lots of times. This is how it became subconscious along with all the little compensation strategies that make an individuals movement individual and can cause problems over time through decreased variation. This does not mean the conscious motor control or skill development is unimportant. In fact it is hugely important. Good cortical motor maps and segmental control are going to help my function hugely but in terms of testing it may mean that my test is simply a skill I have yet to learn and that is all that the test tells me. At Cor-Kinetic we find it easier to define function through what we call our Foundations of functional movement. Functional movement patterns are individual but conform to a set of universal principles that govern our assessment and training processes. Lets have a look at a few. 3 Dimensional. We are always moving in 3 dimensions (and at the same time!) during functional activities. Every joint can move in 6 ways (or has 12 degrees of freedom if we are getting fancy and talking about Euclidean space!). Is your assessment and training just up and down or front to back? Integrated. The body is an integrated system. In this way no one part gets stressed too much. Body builders and doctors have created a segmental body. This is not the way we function. Moving our COM (centre of mass). This is how we move, by decelerating and accelerating our COM. Without this we would have no power or movement. How often do you assess or train this component of movement? Subconscious. Walking, running, jumping, reaching etc are all carried out subconsciously. We do not consciously activate muscles to carry out these actions. In fact your brain does not even know what muscles are only movement patterns or our conscious intent. Load to explode. During subconscious movement we lengthen our muscles before we shorten them. This eccentric lengthening gives the reflexive trigger or myotatic reflex to create a concentric shortening. Think going down before you jump or rotating the opposite way before you throw. Forces are acting on the body. Gravity, ground reaction and momentum are acting on our bodies during functional movement. They will change our assessment results so what happens off weight-bearing may not happen when bearing weight. We have to train the body to deal with them and thrive in its environment. Upright and Dynamic. We are always moving and most of the time upright. If we are not upright (e.g sitting at home or work) we should spend more time upright. This means assessment or training lying or sitting and static is pretty non functional and will have little bearing on how we move. One view seems to be that the input does not matter in terms of movement but the outcome is functional part of the equation. This is something I agree with in part, there are many different ways to skin a cat. But what if input equals output? In this model surely the input would have to be functional too right? This maybe the case when we start to look at a functional assessment. The only way to tell how you perform a movement is to get you to perform that specific movement. So therefore the motor planning input and input from the feedback systems go into making the output of how you perform a movement. in this case context in my opinion is king. Our body is designed to sense and feel and respond to what is going on around it. This is how a subconscious creature exists. The input we give the body directly correlates to the output if we are dealing with a subconscious process, it is the trigger that frees you of the need to think about moving and lets you get on with all the other things you have to get on with! Theses sensors are proprioceptors that inhabit our ligaments, tendons, joints, muscles and fascia that provide the mechanical information for your CNS to create the right subconscious reactions. By feeding the right pattern of movement you are creating a blueprint of a movement that the body can use and store to improve the specific movement and subconscious reactions involved. That’s why runners predominantly run to train and do not swim 90% of the time because the input equals the output. We must apply the SAID principle. The specifics of a movement will improve that movement whether it be performance or rehabilitation. This authentic input also helps shape the sensory and motor cortical maps that we use to plan and execute our movement even in the conscious and skill acquisition domains. The more times something is able to go somewhere the more the body will feel confident about going there. It recognises and feels safe in the motor pattern and allows the motion to occur and like all movement our body builds on success. Strength also conforms to this process. It is not a generic thing. Strength is formed from specific motor patterns practiced time and time again. Just because you are strong at one thing does not mean you are strong at all things. We see this in the strongman competitions where they have a set of challenges that looks at different movement patterns not just gym exercises such as the deadlift or bench press. It is also about functional strength. Someone may win one challenge but come last in another. We must think about functional movement patterns for strength development and force production also. Again the application of the SAID principle is pretty universal. So does that mean you can’t throw heavy weights around, of course not. People enjoy that. Does hypertrophy have to be functional, of course not. People enjoy looking good. But you may have to have a more functional thought process when it comes to specific training and strength gains for sport and increasing the specificity of strength. When we look at strength in a rehab setting do we really mean neural drive? In this sense strength as its own entity may not be applicable but good control and force production in an applicable movement maybe more important. The problem is as soon as we hear the word strength we reach for strength exercises and load. So DOES it matter? Well that’s for you to decide but if you want to get someone fit and strong you may want to ask yourself “fit and strong for what?” That’s the first question we ask at Cor-Kinetic and your assessment, rehabilitation and training process is based around that statement also. We believe what you do should relate to who you do it to and then the outcome will take care of itself! On the right hand side of the blog we have a link to our Facebook page. Please click and then click like. Also sign up for our free 5 day “Truth of human movement” course on the left hand side. Also check out our Mentorship program on the same page *click here* and scroll down. This entry was posted in Uncategorized and tagged AFS, ap, applied functional science, Ben Cormack, ben cormack blog, bencormackpt, Cor-kinetic, corkinetic physio, David Tiberio, Dr Tiberio, fms, force production, function, functional assessment, functional biomechanics, functional education, functional fitness, Functional movement screen, functional physio, Functional training, gary gray, gray institute, motor control, muscle function, personal training CPD, personal training se london, personal training w1w, personal training., proprioception, ptonthenet, REPS points, strength, strength training. Bookmark the permalink.